Ukrainian mobile radar station was blown up in Milove village located on the Ukraine-Russia border. Today March 24 at 3:30am in the suburbs of Milove village (locate on the territory controlled by Ukrainian authorities in Lugansk Region) terrorists blew up mobile radar station of Ukrainian Army. The fired 2 times at the military truck using anti-tank grenade launcher. Inside the truck there was radar equipment that was not functioning already. The vehicle was seriously damaged. 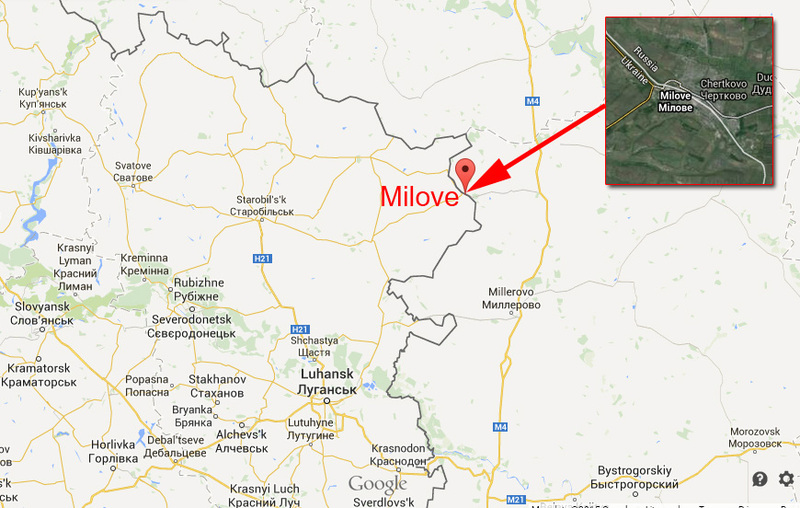 Milove is located on the North of Lugansk Region, about 200 km from the front line. There were no military activity there, but it is on the border with Russian Federation. Obviously the saboteurs came to Milover from there with a task to destroy military equipment. Nobody was killed or wounded, investigators from Security Service of Ukraine and Ministry of Internal Affairs are already working at the location. – Hennadiy Moskal, the Governor of Lugansk Region.